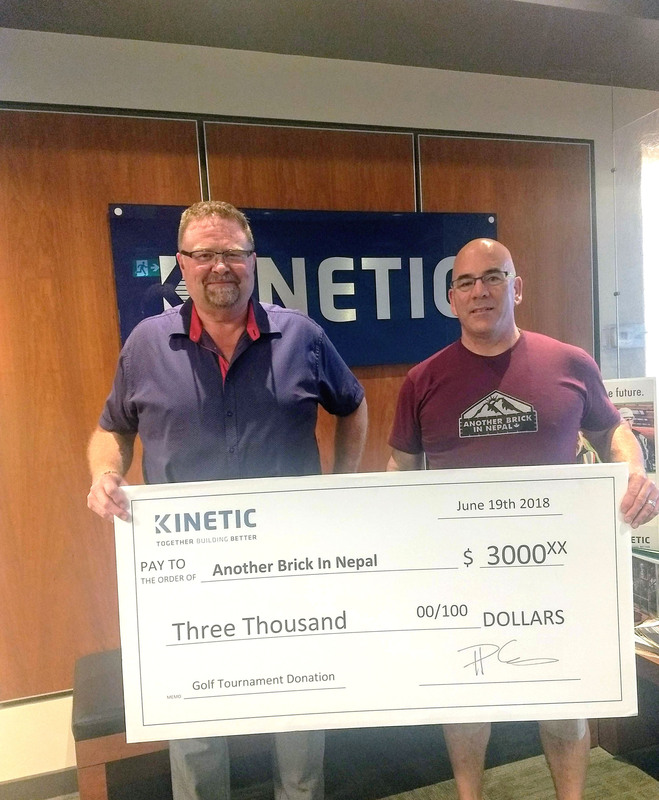 On June 19, 2018 Kinetic’s President & CEO, Tom Plumb, handed over a cheque for $3,000 to Rob Tournour on behalf of Another Brick in Nepal. In 2015, Nepal experienced two major earthquakes that killed 9,000 people, destroyed over 900,000 homes and thousands of schools were destroyed or seriously damaged. Another Brick in Nepal is an organization that was founded with the goal to rebuild schools in rural areas of Nepal, where the government help is limited, and many small villages lack the capacity to rebuild. Kinetic is glad to be able to donate some of the funds that were raised at this year’s employee charity golf tournament to help the people in the rural communities of Nepal rebuild after such a devastating event.